This year, World Smile Day fell on October 5, 2018. Annually, World Smile Day is on every first friday of October. Harvey Ball was the creator of the smiley face in 1963. He noticed the over marketing of his symbol and began to add a new meaning to it by creating World Smile Day. Special education teacher and Best Buddies sponsor Dawn Soprych is known for promoting the smiley face and positivism within the walls of RBHS. “This year, since I’m running Best Buddies, I asked if they wanted to make it bigger and that’s how it came about and it’s been amazing,” said Soprych. Students entering Door A received yellow smiley face stickers to wear to show their support. 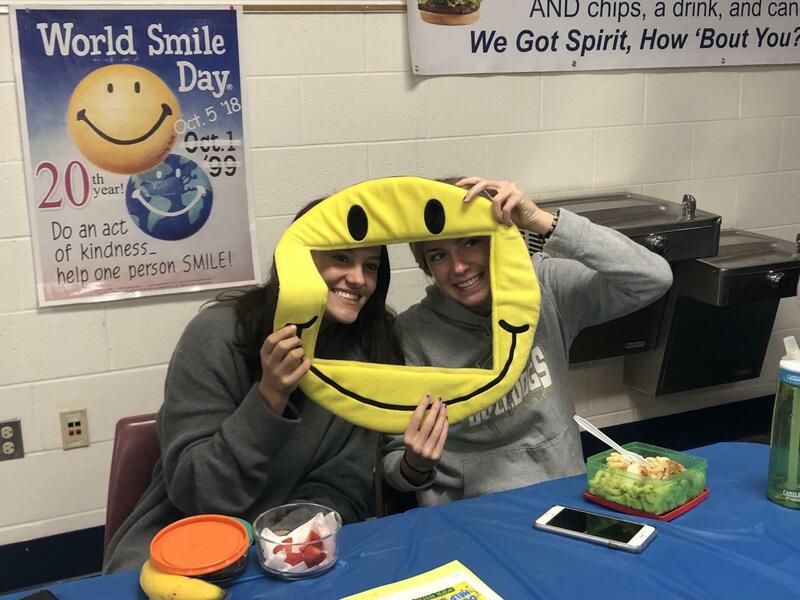 Members of Best Buddies, like Junior Dave Waas, contributed by helping set up and hosting the World Smile Day table during lunch. 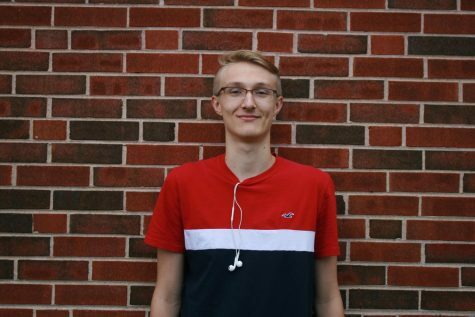 “Best Buddies is involved because a lot of the people are really positive which makes it easier to spread the positivism and they just get happy when helping others,” said Waas. The hallway music was strictly cheerful and happy to create a positive environment for all students on World Smile Day. During all lunch periods, Best Buddies held a raffle for $5 Target gift cards and gave away chocolates with smiley faces on them. “With everything going on in the world I think we need to be more kind and caring to people,” said Soprych. Based on this year’s outcome, the Best Buddies program plans to host World Smile Day again next year.